Raise your hand if you like to write things on your to-do list after they're already finished just to feel more accomplished? 🙋🏼 I love fancy to-do lists, filled with pretty colors and lots of places to add random notes and doodles, I especially love doing this while drinking coffee in the living room in the morning while Isla is hanging with me. 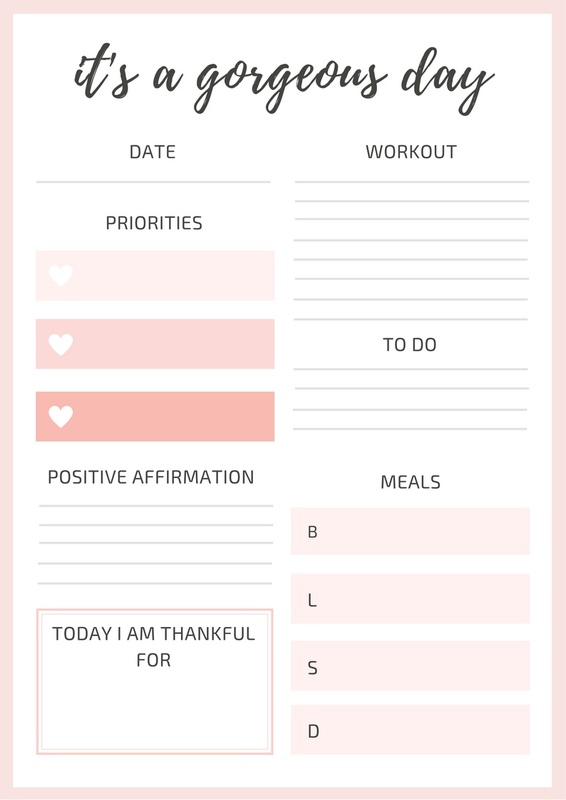 I've found that my days are more successful when I write down what I want to accomplish and what I need to accomplish, couple that with a positive affirmation and I'm set. 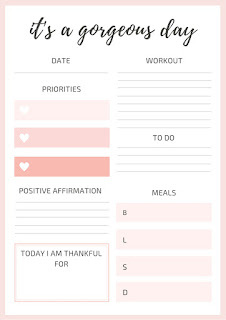 Here's a pretty printable I created to help you get your day going. Try it for a week and tell me you aren't getting more done throughout the day!